(The company that makes all the NCAA helmets and replicas) The mini helmet has a metal face mask, and full interior padding. The mini helmets come in 2 colors: Silver with a blue face mask, and Gold with a black face mask. Every helmet comes with the logo of your choice on both sides. 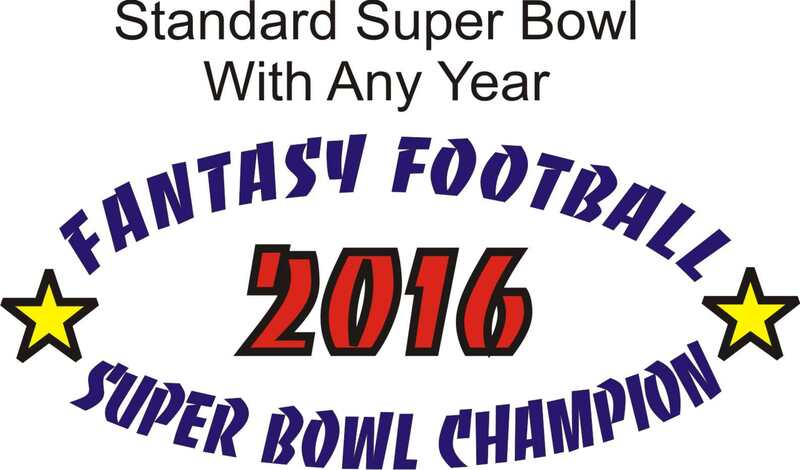 "Fantasy Football League Champion" or "Fantasy Football Super Bowl Champion"
in an oval format as pictured with the year of your choice in the middle. You can also customize this design with your own text in the middle of the oval. We can only customize the center of the design. 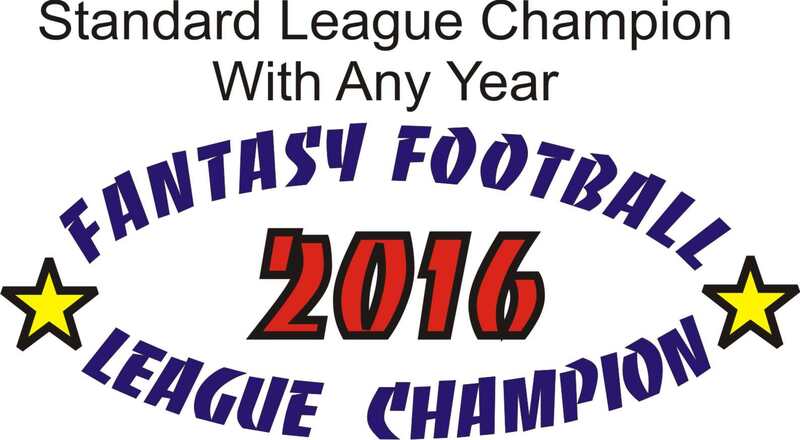 The outside that says," Fantasy Football" and "League Champion" or "Super Bowl Champion" can't be changed. 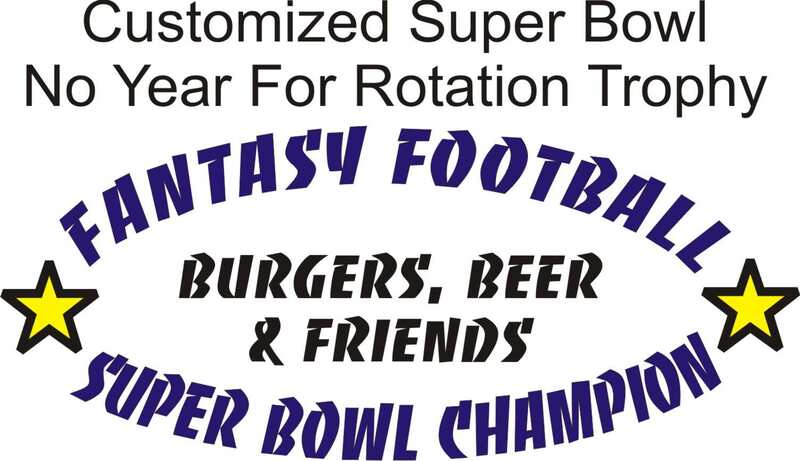 We can add your team name or league name and the year, or we can add your team name or league name with no year for a rotating trophy. The customized text will be in black. 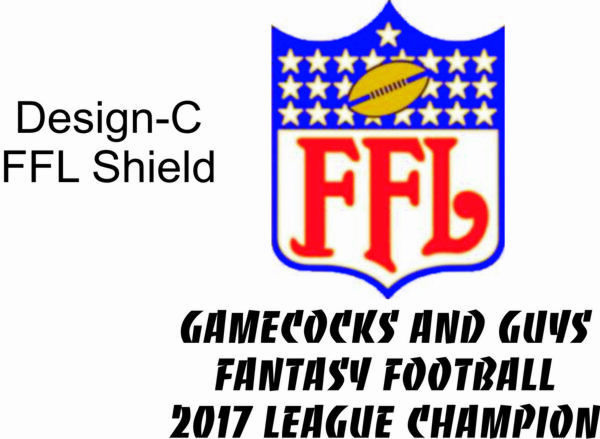 Our exclusive FFL Shield is now available on our mini helmets. The shield design only comes in the customized version. write in the customize box. There is no standard text on this design. My league loves these. I have 3 on my desk! The great thing about these is that they don't look like some cheesy trophy, and they in nicely on a desk or shelf. Quality is great.